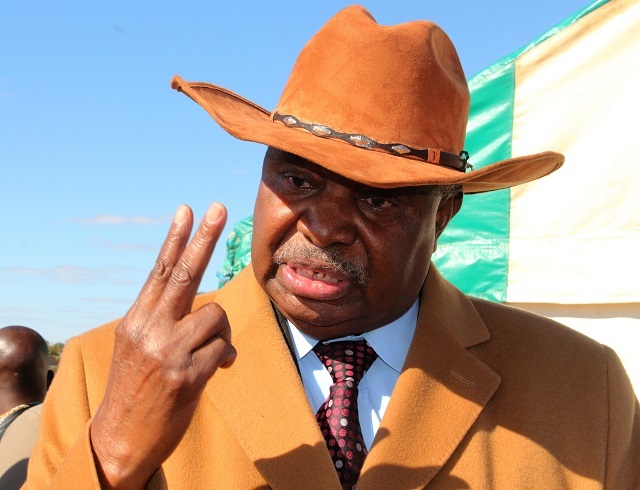 ZIMBABWE National Liberation War Veterans’ Association, (ZNLWVA) secretary-general Victor Matemadanda has accused former Vice-President Phelekezela Mphoko of deserting his government position and therefore not deserving any exit package for his service. In an interview with NewsDay, Matemadanda accused the former Vice-President of playing to the gallery by threatening President Emmerson Mnangagwa and government with court action over unpaid benefits. “He is just seeking public relevance. What we know is that at the time Operation Restore Legacy was initiated, he was in Japan on government business and he chose not to come back to the country and instead went AWOL,” he said. Matemadanda said Mphoko should therefore not expect Zimbabweans to pay pension benefits for a person who allegedly absconded his government post. “He can’t talk of a pension because he was not fired neither did he tender a resignation letter. By the time President Mnangagwa was appointed and inaugurated, Mphoko had deserted, he never bothered to come back and submit himself to government,” he said. Mphoko has through his lawyer, Welshman Ncube, written to government demanding his exit package. The ZNLWVA secretary-general, a close ally of Mnangagwa, led the fight to dislodge Mugabe from power. Matemadanda said Mnangagwa did not hold any grudges against Mphoko, saying he had shown this by honouring government obligations to main opposition leader Morgan Tsvangirai. “He is a progressive leader who departed from the politics of hate when he did us proud by visiting MDC leader and former Prime Minister Morgan Tsvangirai and giving him his dues which had been held back by Mugabe for years,” he said.